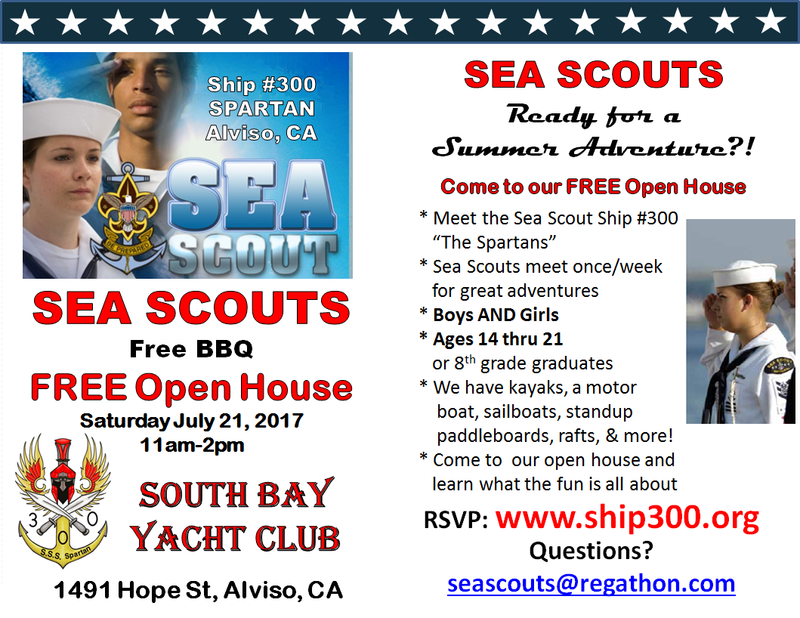 Learn about Sea Scouts, Join the Ship, Get Involved as an Adult Leader, Have some FUN! To RSVP for this event, fill in the following. This RSVP system is provided for information and convenience only. By RSVPing for this event, you agree to hold Regathon Public and all affiliates & partners and friends blameless for all mishaps, cancellations, changes, etc. Your name will appear in the Signup Roster. Your email will NOT be visible to anyone except the event coordinator. Don't forget your area code. Your telephone # will NOT be visible to anyone except the event coordinator. Don't worry: your address will be hidden will not be visible to anybody except the event instigator. Do you have a special invitation code or password? Enter it here. If not, just leave this field blank. Total Attendees: INCLUDING yourself, how many people is this registration for? Keep it clean! 120 characters max. We will contact you if plans change and as the event approaches. Please check your email frequently.